Francine Stock talks to director Scott Cooper about his film Out of the Furnace. Alex Gibney on his Lance Armstrong documentary. And Lift to the Scaffold starring Jeanne Moreau. 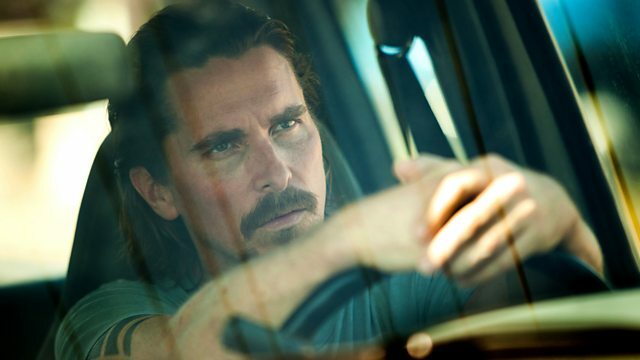 Francine Stock talks to the director Scott Cooper about his film Out of the Furnace, starring Christian Bale, Casey Affleck, Forest Whitaker and Woody Harrelson. Cooper explains why his own family history is so pertinent to this story of brothers struggling to find their role as men amidst the dying steel mills of Pennsylvania, and his fascination with modern masculinity. Plus Alex Gibney on his Lance Armstrong documentary, The Armstrong Lie and how he fell under the spell of the disgraced but charismatic cyclist. What started as a comeback story in 2009 turned into something very different as the doping scandal gathered pace. Charlie Bloye, Chief Executive of Film Export UK, the trade body that represents around 30 independent film sales companies, makes a case for more support for getting British indie films seen abroad. And Ginette Vincendeau of King's College London explores the magic of Jeanne Moreau in Lift to the Scaffold, the 1958 Louis Malle film which made her a full-blown star. She explains why the noirish thriller has come to be seen as a significant precursor of the French New Wave, which broke with film making conventions. Out of the Furnace, directed by Scott Cooper, is in UK cinemas from Wednesday 29 January, certificate 15. The 1958 film Lift to the Scaffold, directed by Louis Malle, is re-released in UK cinemas from Friday 7 February, certificate PG. The Armstrong Lie, written and directed by Alex Gibney, is in UK cinemas from Friday 31 January, certificate 15.